Have you ever misplaced your pencil or even your scorecard during a game? Have you ever miscalculated your total number of strokes? Do you feel your finger is too big when using the device keyboard? 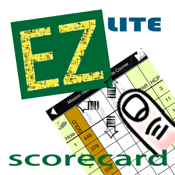 Here's the all "NEW" electronic scorecard which enables you to record your number of strokes and putts without using the keyboard even when you are walking and struggling with the golf trolley.